Inspired by the lanterns found on fishing boats, this collection of outdoor customizable lamps allows you to create multiple compositions. Users can choose how many shades to place on the diffuser, along with their order, position and direction. This interplay of combinations yields a rich array of direct or reflected light. The Santorini collection can be hung from the ceiling, either individually or clustered together, or they can be strung up like a garland. 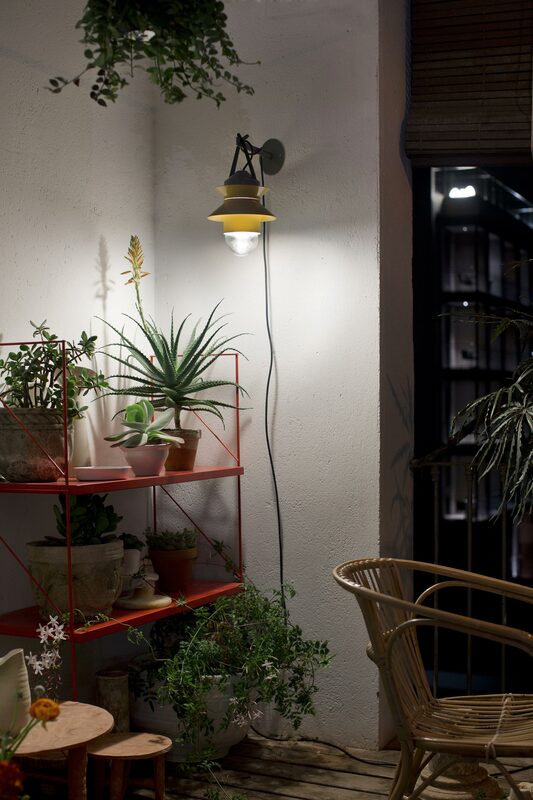 They also work as wall lamps or standing lamps using accessories that can easily be added. 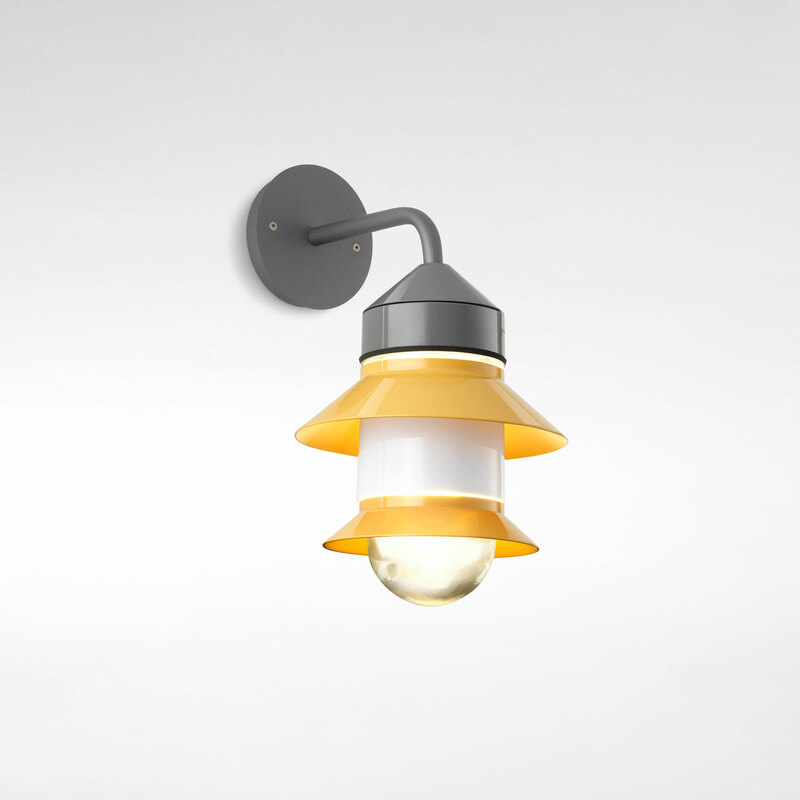 The variations on the Santorini lamp are further expanded by the choice of the shade color, which comes in white, grey and mustard. Also, the Santorini collection has been expanded with the addition of two ceiling and wall versions with a more conventional attachment system in the guise of a tube structure that confers on the light a more solid appearance.